We are delighted to have been shortlisted for two of this year’s biggest accolades in the Scottish property industry. 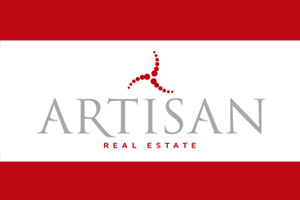 Artisan has been nominated for both the Property Company of the Year and the Deal of the Year categories for the prestigious 2018 Scottish Property Awards, which takes place in Glasgow on March 1. The nomination for Property Company of the Year reflects our investment-based success across Scotland over the last 12 months. This includes continued progress at New Waverley, its flagship Edinburgh city-centre development, as well as taking on major regeneration projects in Glasgow such as the Custom House on the Clyde Waterfront and the Cotton House in the Merchant City. The Deal of the Year nomination recognises the landmark property deal agreed in July 2017 to bring 2,900 HMRC jobs right to the heart of Edinburgh, with the lease of New Waverley’s 190,000 sq. ft. new office building to the Government Property Agency (GPA) – described at the time as the city’s largest office leasing deal for more than 20 years. Commenting on the award nomination for the GPA deal at New Waverley, Clive Wilding added: “The UK Government’s move to New Waverley is Edinburgh’s largest office leasing deal of recent times. It represents a landmark property deal which demonstrates how much increased value we can bring back into our city centres through sensitive and progressive development. Good luck to all those nominated.